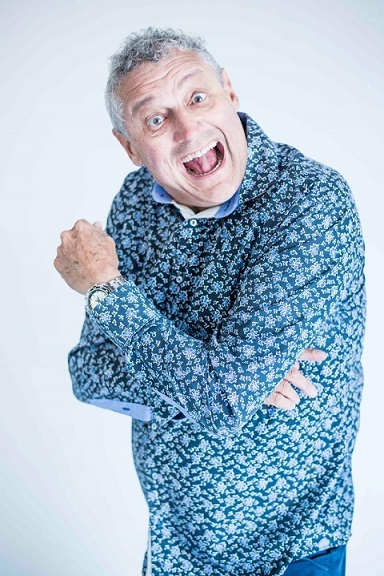 One of the highlights of the winter entertainment line-up at Rockwood Theatre Sibaya, is laugh-a-minute comedy with South Africa’s elastic faced, king of clean comedy, Barry Hilton. Fans can brace for hilarious comedy in true Hilton style, with his hilariously exaggerated facial expressions and all new material. South Africa’s favourite cousin is here for one night only, on June 21, 2018. With sets that are never vulgar, malicious nor mean of spirit, but always funny, Hilton is known to several generations as a gentleman comic and a master craftsman with flawless timing, an unpredictable hairline and a gaze that doesn’t miss a thing. The South African comedy giant’s universal appeal has earned him a fan base that spans continents and has seen him perform across the globe. Last year he wowed the Sydney Opera House and this year, he thrilled audiences in Canada, Singapore and Kuala Lumpur. 2018 sees him return as host of the Hong Kong International Comedy Festival. His genuinely funny bones, his uncanny ability to gauge a crowd, his firm stance on working clean and his unflinching work ethic, make Barry Hilton an institution that has stood the testament of time and continues to impress as he breaks new ground and makes ‘em laugh all over the world. Barry Hilton is the proud recipient of a Comics Choice Lifetime Achiever Award. Barry Hilton’s performance takes place on June 21, 2018, at 20h00 at the Rockwood Theatre Sibaya. Bookings at www.rockwoodtheatre.co.za or visit the booking office at Sibaya Casino & Entertainment Kingdom.